Abbie's Amazing TY Time! : Junk Kouture! 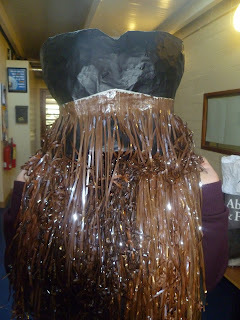 We have been working away with our Junk Kouture project, there's so much work to do with it! 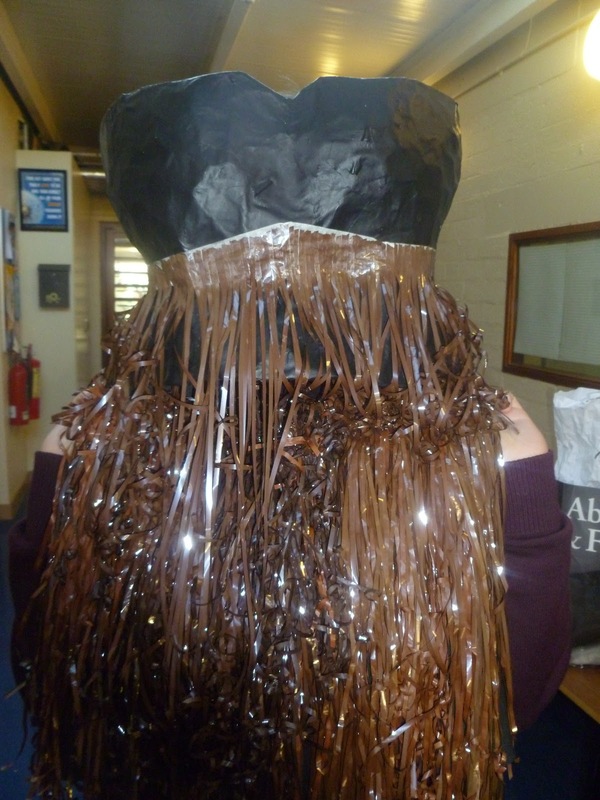 We are making our outfit from casette tapes, we are using both the plastic cases and the tapes from inside! Muireann and Sarah are working on making this outfit too! What our outfit is made from! There's so much work involved with Junk Kouture but we're really happy with how the outfit is coming along, we're making a corset and skirt out of the tapes! We also have a belt made out of the tape covers, the hardest thing to make is the skirt as we have to sew on the tape by hand and it takes forever! Muireann did the sewing all last week while Sarah and I worked on the corset, so I think we better give Muireann a break from it this week, it's very easy to get sick of sewing all those tapes! This is the belt we made from the tape covers! That's all for now, blog soon!